Two big barbecue events on the agenda this weekend! 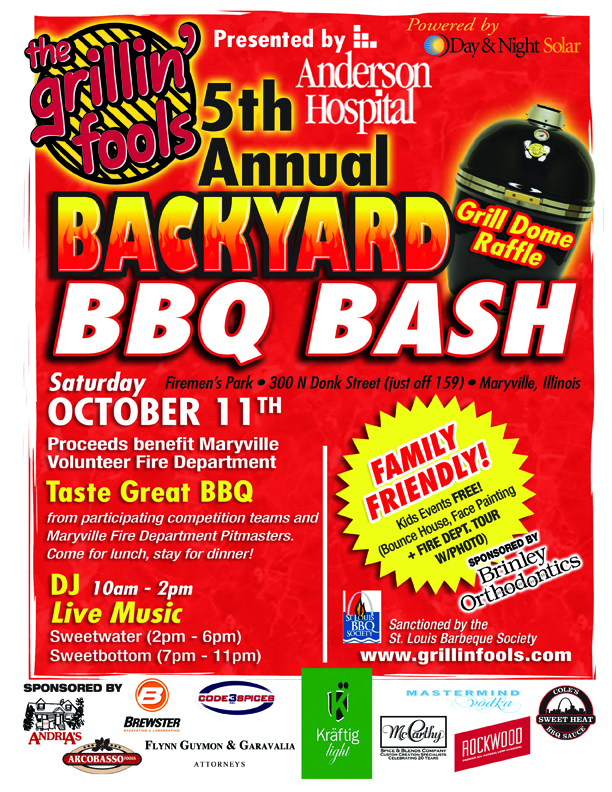 On Saturday, October 11, at Firemen’s Park in Maryville, Illinois, the Grillin’ Fools present their Backyard BBQ Bash. 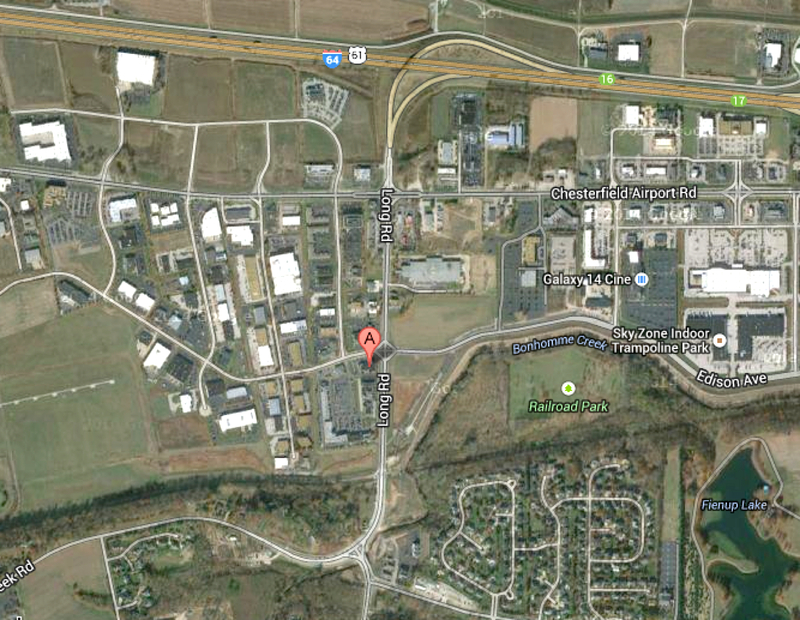 The park is located on Illinois route 159, about a mile north of I-55/70. The Backyard Bash is a competition that features local amateur teams offering up their best. This family friendly event will feature music from a DJ starting at 10:00 a.m. with live bands playing from 2:00 p.m. to 11:00 p.m. I will be one of the judges for the event. Below is the event poster. 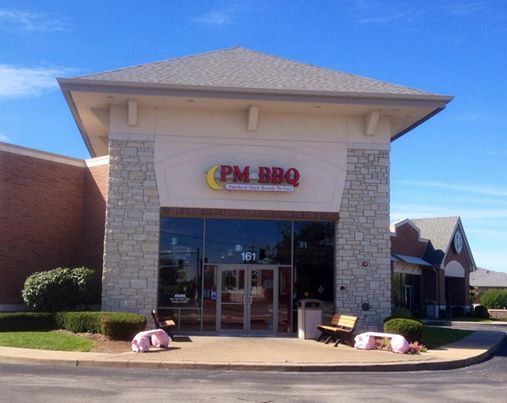 Then on Sunday, October 12, the St. Louis Occasional Barbecue Society (aka the SLOBS) will hold a charity BBQ competition, Victory in the Valley, at PM BBQ, 161 Long Road, in Chesterfield. See map. The event runs 11:00 a.m. to 5:00 p.m.
For a $25 charitable contribution, guests can sample ribs from all competing teams. Proceeds will be split evenly between Circle of Concern food pantry and Lift For Life Gym. Rib sampling begins at noon. Area restaurants with teams participating include Iron Barley, BBQ ASAP, Keeton’s Double Play, Colorado Bob’s, Kilderkin’s, Highway 61 Roadhouse, Dylan’s Sports Bar, PM BBQ, among others. The Brewbadours will provide live music during the event. 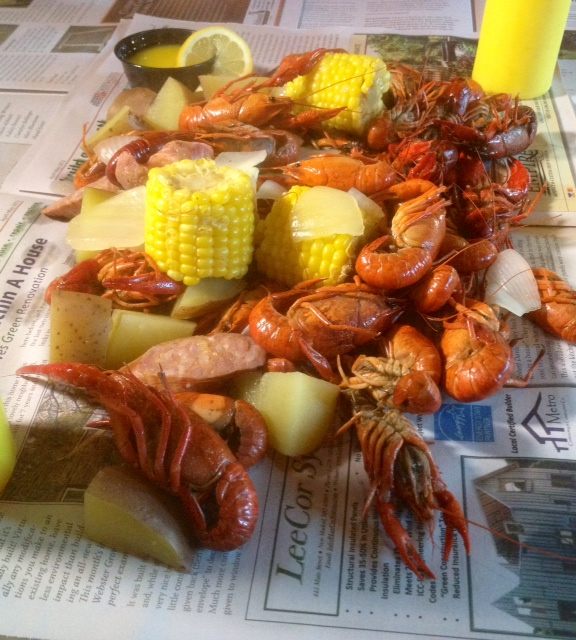 Come hungry and thirsty!